The Brilliant Supernova 2 is a high performance exhaust fan with an excellent capacity rate of 500 m3/hr. Allowing the bathroom spaces indoor to clear steam and moisture efficiently. 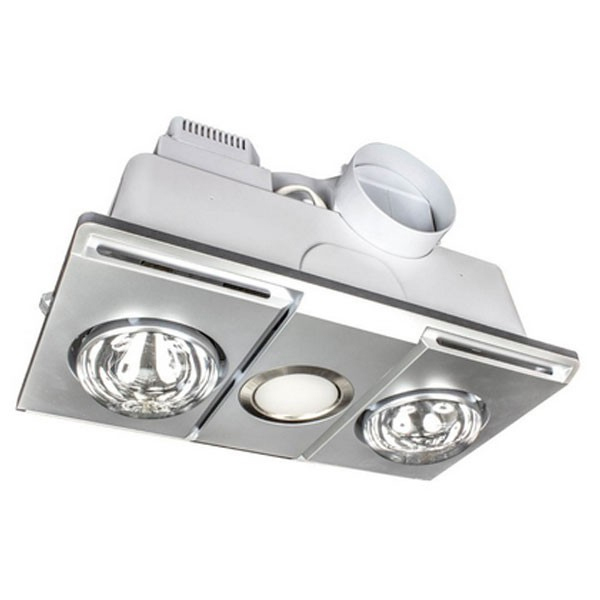 The exhaust fan features 2 x 275w heat lamps and 1 x 14w 4200k LED light located in the middle of the unit. Included is a thermostat switch, which will be prompt if the temperature rises to 90°C and above. The Mercator Lava Quattro 4 Exhaust Fan is a quality bathroom exhaust fan that is ultra quiet in noise and constructed with a 40w ball bearing motor. 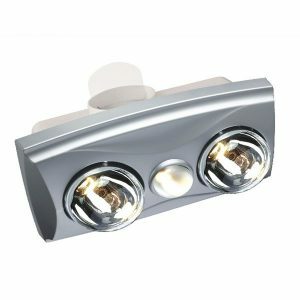 This model includes 4 x 275w heat lamps and 1 x 6w R80 LED light globe in the centre of the unit. Included is a wall controller which performs separately the options of using the heat, light and fan independently. 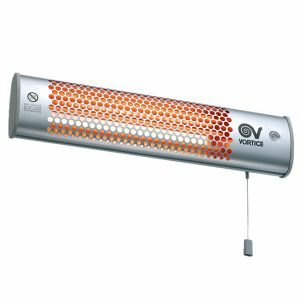 The Vortice Thermologika wall mounted heater is a pull cord operated unit designed for either domestic or commercial application. The heater has a choice of three power settings 600w, 1200w or 1800w which gives you good control over the amount of heat the unit will generate. This thermologika fan requires installation by a qualified electrician. The Ventair Franklin is a superior 3 in 1 exhaust fan, the ideal combination of heat and light to provide a suitable solution for multitudes of bathrooms. 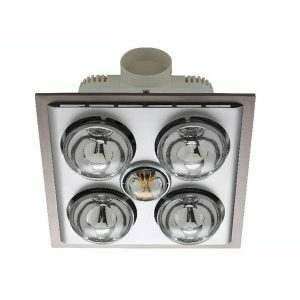 The Franklin has 1 x R80 15w halogen globe and 4 x 275w heat lamps. This exhaust fan is made from a durable ball bearing 40w motor and features a side duct that caters for 1.5 meters in length of 125mm of ducting in diameter and a external vent. The Ventair Eko 2 is a eco-friendly exhaust fan with a capacity of 235 m3/hr suitable for bathroom spaces, providing a combination of heating and light working independently with a 3 gang switch. 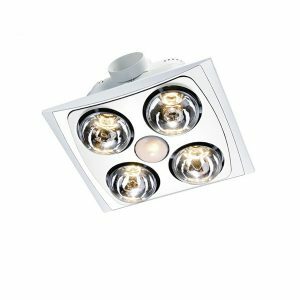 The Eko 2 features 1 x R63 11w light located in the middle of the exhaust fan and 2 x 275w heat lamps.